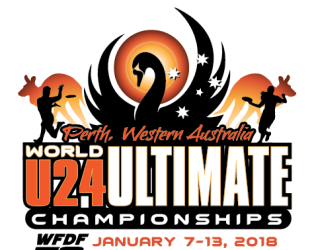 For the next week (7th – 13th Jan) Perth Australia is playing host to the world under-24 Ultimate Championships. GB have sent teams in all 3 divisions and we’re pleased to see a good representation of young Scottish (based) talent. We’ve asked a few of the home-grown athletes playing in the tournament to introduce themselves and let us know what they’re looking forward to. Games will be live-streamed throughout the week on the WFDF Youtube channel. We’ll also be bringing you an inside look at the tournament with Axel Ahmala providing updates on his and some of the other players experience throughout the week. Use the images below to click through to the profile.